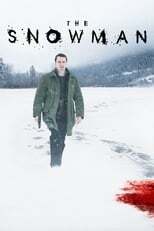 Based on Jo Nesbo bestselling novel, 'The Snowman' tells the chilling tale of the investigation of young girls' death in an isolated, wintry town. The Snowman is directed by Tomas Alfredson and was released on Oct 20th, 2017. Director Tomas Alfredson's Drama & Crime movie The Snowman is produced by Universal Pictures & Working Title Films & was released 2017-10-12.